Certainly, on the question of aesthetics Miller finds himself in great company. Plato, Tolstoy, Baudelaire, Kant, and Greenberg, to name the most widely known, have all contributed to the plethora of academic literature on the issues of aesthetics and discerning their representation and meaning. Miller’s contribution to this field brings many of these seasoned and fiercely debated theories of aesthetics to the fore, prompting scrutiny of the purpose of art itself. The examples that Miller presented as instances of this new ‘avant-garde’ left me with reservations about the book’s title, as there seemed to be little evidence of how the arts influence science as opposed to vice versa. Of the various examples of ARTSCI that Miller gave, the compositions of London DJ Paul Prudence provided perhaps the most intriguing. Prudence collects audio samples and combines them with algorithmically generated images, producing multimedia works that enable the audience to ‘see sound’. Whether his creations constitute a newfound relationship between art and science, though, is another question. It is indisputable, of course, that the advancements made in science since the time of Leonardo Da Vinci or Joseph Wright of Derby have also influenced the possible representations forms art can take. In particular, Miller focused on developments in the 1990s in fields such as physics, and biotechnology advancements including gene therapy, organ transplant, and functional magnetic imagery. The shift from ‘the age of technology’ to ‘the age of information and data’, he noted, has given rise to data visualisation art. However, despite these new forms, art and science have, historically, been often explored alongside each other. It is the nature of the association between the two, not simply the existence of such an association, that should determine whether ARTSCI is considered avant-garde. 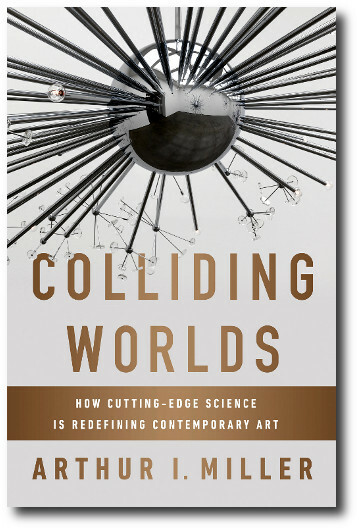 Whilst the newly possible representations may be novel, it very clearly builds on the existing and long-established relationship between science and art. The book’s title came to be emblematic of the evening’s conclusion, as Arthur Millar and the audience engaged in a fiery Q&A session. Members of the arts and science communities voiced an aversion to the theory put forward, perhaps unsurprisingly given the contentious issues at hand. The lack of human communicability in works of art which are produced by technology was raised by an audience member, stating “the essential nature of art has an openness and variability and needs the completion of the person in human terms to make it work.” This essence in particular seems to be lacking at least in the examples brought forward in Miller’s presentation. Miller’s response to this was to suggest that humans are becoming machines and dismissed the reference as referring to ‘classical art’. Another audience member objected on the grounds of plausibility of computers being ‘creative’. The tendency towards polarisation both emphasised the event’s interdisciplinary nature and begged the question, must the foundation of this debate be reconsidered altogether? Although some may have disagreed with the specifics of the content, Miller’s talk proved a highly enjoyable event, and an effective introduction to the new, interdisciplinary St Cross Centre. The aesthetic debates that surround Colliding Words may be old, but they are far from stale. Information about upcoming talks at the St Cross Centre for History and Philosophy of Physics can be found here.